Years ago, my go to homemade salad dressing was a bit of olive oil, lemon juice, and a pinch of salt. Ick! What was I thinking? Oh right, that was the 21 year Parita that just wanted to lose weight. The 28 year old Parita now knows better. Homemade dressings should be flavorful, refreshing, and fun to make. So you can imagine how excited I was to try out a new dressing recipe I heard about from one of the girls in Austin. She made it sound drool worthy, so I knew I had to give it a try. The original recipe sounded great, but I didn’t have all the ingredients on hand, so I improvised a little. And honestly, even my slightly adapted version was slurp-straight-from-the-bowl good. Whisk all the ingredients together in a small bowl. Annnnnnd you’re done. Easy peasy! Poonam, my friend, tops an arugula, shaved parmesan, and slivered almond salad with her version of the dressing (sub strawberry jam for balsamic vinegar). Again, I had no arugula or parmesan in my fridge, so I improvised. 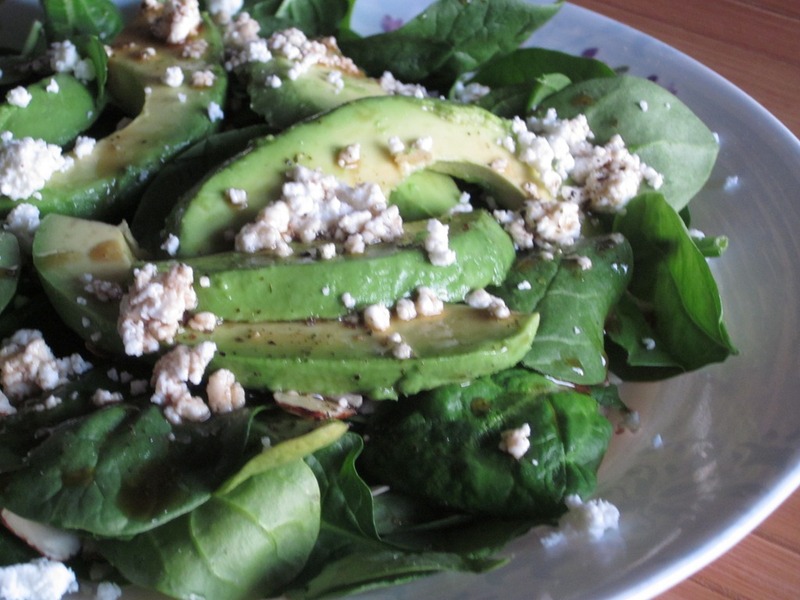 I made a spinach, goat cheese, avocado, and almond salad for my dressing. Y’all, this dressing and salad pair so well together! The flavors were spectacular – the sweet tang from the dressing and goat cheese, the creaminess from the avocado, and the crunch from the almonds. I have a feeling I’ll be making this over and over again! So please do me a favor and never be like the 21 year old Parita, and if you ever have the urge, remember the 28 year old Parita and this dressing and make it! You won’t regret it – I promise! What’s your favorite kind of salad dressing? What’s one thing your salad always contains? Haha 21 year old Parita sounds better than 18 year old Khushboo..forget oil, my liquid was water or lemon juice- GROSS! Oh and speaking of which, 18 year old Khushboo would never make that salad because waaay too much fat (23-year old K is all over it though:))! Thanks for the salad dressing recipe, can never have too many! I love fruity flavors so sometimes add in orange zest! 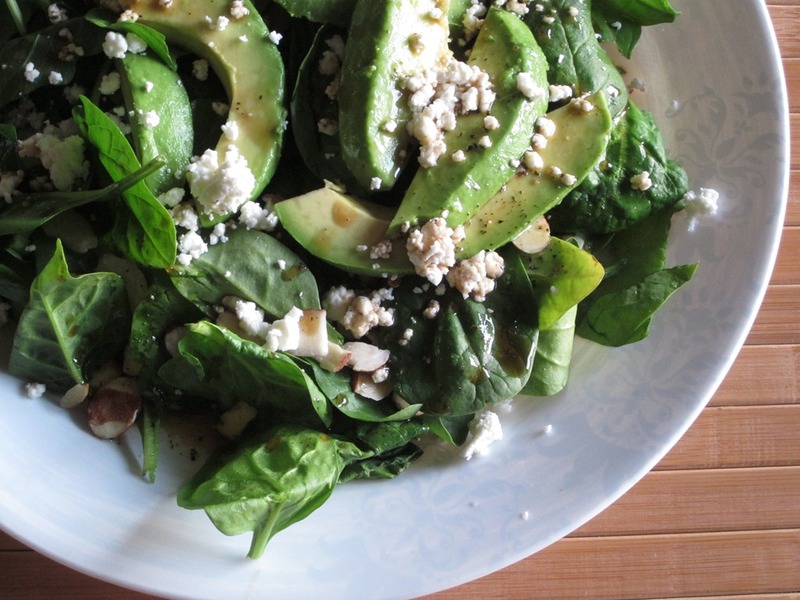 Love the idea of adding mint to the dressing! I’m going to try that out. A few people have mentioned apple cider vinegar…I’m going to have to check it out! My salads are generally just whatever I have in the fridge chopped and thrown into a bowl. And I eat them most every night of the week I think. 🙂 Lately I can’t get enough mushrooms and cold, roasted squash. I honestly never make my own dressing…but I am currently OBSESSED with Newman’s Own Sesame Ginger and Honey Mustard. Usually hummus or avocado end up being my “dressing”…or I have so much random in it that I don’t need any at all! I have never made my own dressing but its on my list of things to start making and stop buying. This looks like a simple place to start! It was so so easy and so so delicious! 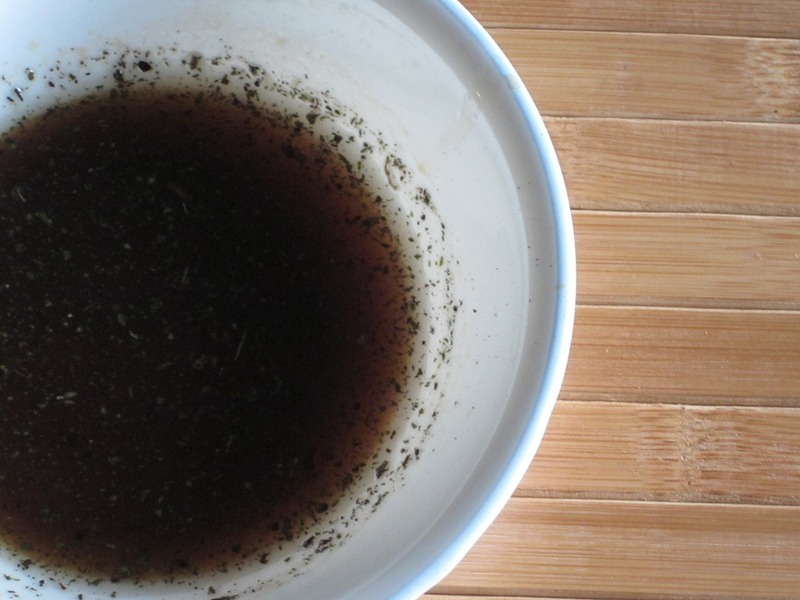 My mom makes this amazing dressing with lemon, poppyseeds, olive oil, and cider vinegar. It’s amazing! I love doing my own dressing, and usually it consists of olive oil, apple cider vinegar, salt & pepper, garlic and dijon mustard. YUM. i’m gonna try this recipe out with parmesan cheese, i hate goat cheese. this looks divine. my favorite dressing is ceasar.. i loveeeeeee it! but my daily weekday salad consists of just EVOO and Balsamic since I’m usually buying salad at work. I always add chickpeas to my salad, it fills me up and i love it.